First Solar have reached a financial close at the 87MW Beryl solar farm in New South Wales. The farm will be one of the world’s first to use First Solar’s Series 6 modules (with 420+ watts per module) and will be constructed by Downer EDI. Beryl is around five km from Gulgong in central west NSW. This is one of NSW’s biggest completed solar farms but there are some upcoming projects which will dwarf it (such as the 200MW Sunraysia solar farm in Balranald or the $380m Gunning Solar Farm – with solar there are always bigger plans in place!). According to a press release on Reuters, the engineering, procurement and construction (EPC) contract is worth about $150m and construction will commence soon. TransGrid’s head of business growth Richard Lowe discussed how they will be able to integrate into the project: “The project is located approximately 250 metres south of TransGrid’s Beryl Substation, so we have been able to offer a very competitive and attractive asset connection plan to First Solar,” Lowe said in a statement on the TransGrid website. “The Beryl Solar Farm will connect directly into TransGrid’s high-voltage electricity transmission network via a 66kV connection to a new bay at Beryl Substation. “This connection will allow the export of 87 megawatts of power into the National Electricity Market – enough to serve the needs of approximately 25,000 average NSW homes, while the associated carbon emission displacement is equivalent to taking about 45,000 cars off the road.” the statement from TransGrid continued. TransGrid will oversee the construction and operation of a new substation at the Beryl solar farm so they’re able to then connect that to the existing Beryl substation. This will happen in the second half of the year. If you’d like to learn more about the Series 6 module please click here to watch a video on the manufacturing process. 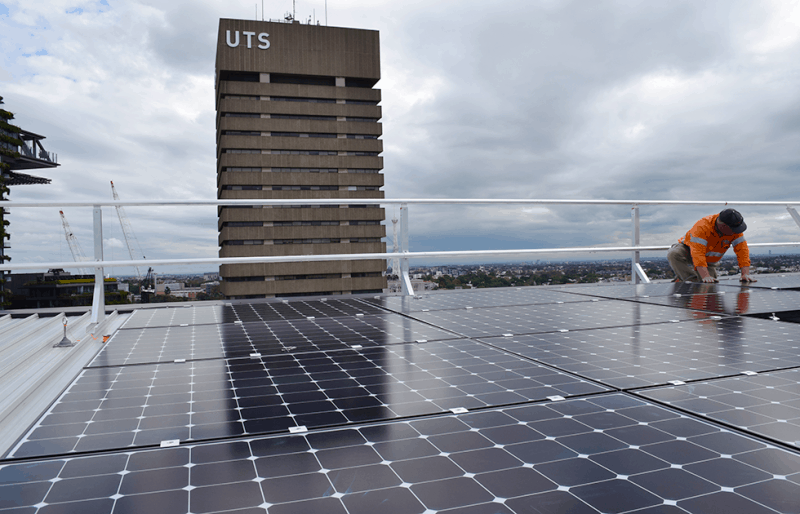 RES Australia propose two new solar farms in New South Wales. Photon Energy are proposing to build a $380 million, 316MW PV Gunning solar farm – about 75km north of Canberra and 50km west of Goulburn. The ABC are reporting that Photo Energy have already lodged their initial plans with the NSW Department of Planning. The plans are set on 590 hectares and will encompass ‘hundreds of thousands’ of solar panels. It’s currently going through permit approvals and grid connection processes – according to RenewEconomy they are in discussions with Transgrid with regards to the construction of a 300MW (AC) substation to connect to their (Transgrid’s) network (which is 330KV). The current largest operating solar PV setup in the southern hemisphere is the Nyngan Solar Plant in western NSW – it is able to generate 104MW. The Sunraysia Solar Farm, currently in pre-development stage as it was approved last month, is slated to generate 200MW – so the Gunning Solar Farm is a huge proposition and we hope that Photon Energy are able to get it over the line. Photon Energy, founded in Prague in 2008 and publicly listed in Poland since 2013, are hoping to begin construction of the solar farm in 2019, pending DA approval. They’re currently developing multiple solar projects in NSW, have approximately 50MWp of PV plants commissioned in five different countries, and have their own portfolio of 26MWp in three countries. Having operated in Australia for several years already and with successful developments under their belt, it’ll be exciting to see how the Gunning solar farm development goes.